In the latest IOS Versions I think you need to go to Settings/Accounts & Passwords. (Not Accounts and Settings as mentioned in this article). 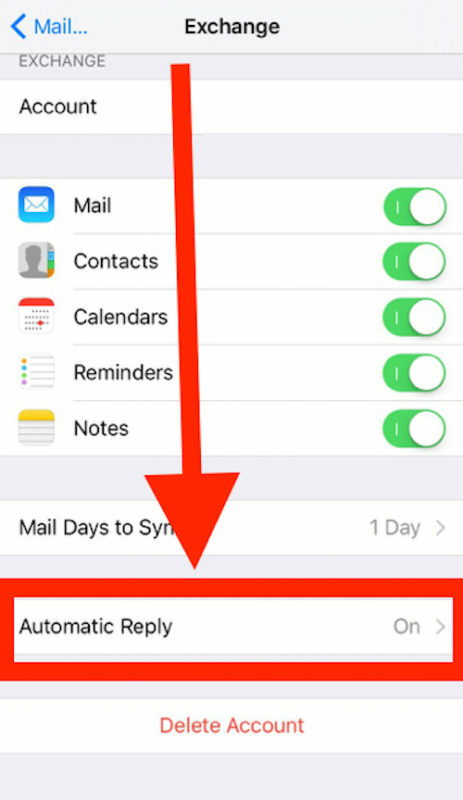 I cannot confirm this as I don’t think my email accounts support this feature (I use gmail, hotmail, and iCloud). the feature is very useful in iPhone. I have iPhone s6 but I didn’t familiar with this feature before. following this setup process I activate the automatic reply. This DOES NOT work if you are using Yahoo Mail, unfortunately. To set your vacation response you HAVE to go to a PC to set it up.